Sunshine Adult Daycare provides a home away from home, where our members enjoy independence, the company of others, and a wide range of social, educational, and physical activities that nurture the body and mind. Many older adults face physical challenges that keep them at home or become isolated as friends and family move away. Sunshine ADC helps them overcome these barriers and regain a life filled with friends, engaging activities, and new experiences to look forward to. And Sunshine offers a new lease on life to caregivers as well, by sharing the responsibilities and time commitments that caring for an elderly person can entail. 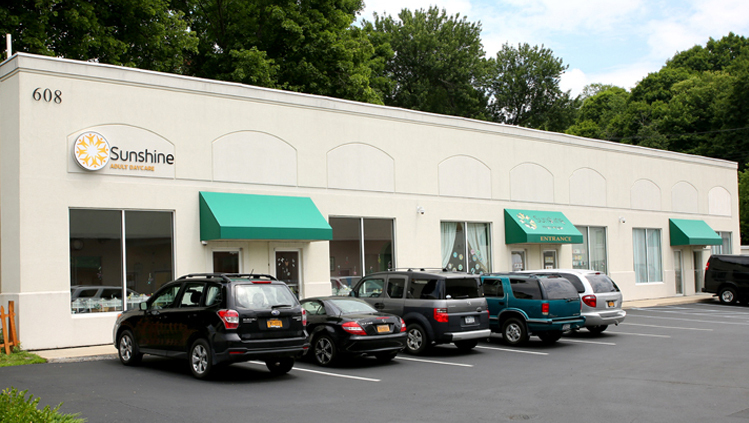 Sunshine ADC offers three centers in the state of New York, located in Peekskill, Monticello, and Newburgh. Each Sunshine center is equipped to meet the needs of members with wheelchairs and other mobility aids, and is furnished to provide a cozy, comfortable, and welcoming environment to all. Our amenities include HD televisions, computers, pool tables, games and game machines, massage chairs, and gardens. The staff members at each location bring a combination of experience, compassion, and joy to each day they spend with our members. Our staff come from a wide range of backgrounds, but are all certified home health aides who are trained in providing assistance with the activities of daily living. Our members’ days begin with door-to-door transportation to their Sunshine center and a tasty breakfast. Members can choose to take part in scheduled classes, physical activities, and entertainment—or they can spend time freely, playing cards or games with friends, gardening, or just watching a show on TV. Members come together at lunch time, when they can choose from many nutritious options offered by local restaurants, and at the end of the day, the Sunshine staff gets members safely home. In addition to our everyday activities, Sunshine members enjoy taking monthly day trips together, hosting entertainers and guest speakers, and holding special events that are open to the whole community. Come and find out for yourself what Sunshine ADC is all about. You can schedule a brief tour or visit us for a full day as our guest. Just let us know when you’d like to join us at the Sunshine ADC center in your neighborhood.